Hope Moellering Kuecker, the daughter of Albert and Marion (Trask) Moellering, was born on December 28, 1931, in Eagle Grove, Iowa. She graduated from Eagle Grove High School in 1949 and then received her B.S. in Home Economics and Education from Iowa State University in 1953. Hope then worked as an Extension Home Economist in Butler and Palo Alto Counties. On March 20, 1954, Hope was united in marriage with Willis “Bill” Kuecker and to this union six children were born. They were a hard-working, committed farm family – she and Bill started farming together in 1956 – having farmed in Kossuth, Webster and Wright Counties – and was extremely proud to have farmed the Century Farm near Eagle Grove that had been in her family since the 1860’s. They raised livestock and numerous specialty crops, including pumpkins, gourds, strawberries, asparagus and of course the “famous” Kuecker Sweet Corn! She was a nurturing person who took great care and pride in growing things, being very conscious of the quality of everything they produced. 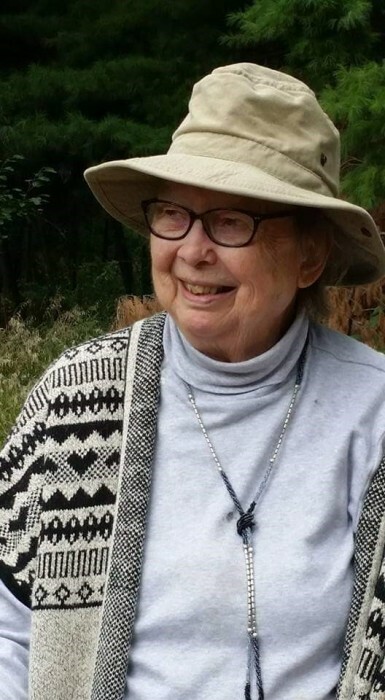 Hope was an active, long time member of Mount Calvary Lutheran Church – Missouri Synod Lutheran in Eagle Grove and enjoyed caring for the flowers and other decorations inside and outside the church. In 1979 she renewed her teaching degree at Iowa State and used her degree while substitute teaching until 2006. Hope had a lifelong love of reading, poetry and art. She painted, wrote poetry and created decorative art and shared these passions with family and friends. Hope passed away on Sunday, January 13, 2018, at New Aldaya Lifescapes in Cedar Falls, at the age of 87 years. She was preceded in death by her parents; husband, Bill in 2014; son-in-law, Kirk Klassen and sisters, Alberta Churchill and Judith Cameron. Hope is survived by her six children: Susan Kuecker (Jim Graham), Sara Kohl (Steve), Sharon Klassen, Barbara Fleischman (Jim), William Kuecker (Connie) and Benjamin Kuecker (Shavonta); seven grandchildren; one great-grandchild and sister, Dorothy Russell. Funeral services will be 11:00 a.m. on Friday, January 18, 2019, at Mt Calvary Lutheran Church in Eagle Grove with Pastor Mark Peterson officiating. Visitation is from 9:30 until service time at the church. Internment will be at Rose Hill Cemetery, Eagle Grove, IA. Memorials may be left to the Little Free Library - littlefreelibrary.org, New Adalya Garden Project -https://www.newaldaya.org/donate/, or Eagle Grove Public Library - http://youseemore.com/nilc/eaglegrove/.